Setting new trends in the area of fine compression stockings, the Juzo Attractive Class 2 Sesame Compression Tights can be distinguished from the standard fare by its especially fine knit. Offering a stylish transparency comparable to any fine stocking, there is as much fashion as function about Juzo's Attractive Range. Juzo's Circular knit: These seamless products are often indistinguishable from normal fine-mesh stockings while still guaranteeing an effective therapy. The exceptional stretch properties of this knit also guarantees an outstanding fit and high wearing comfort. 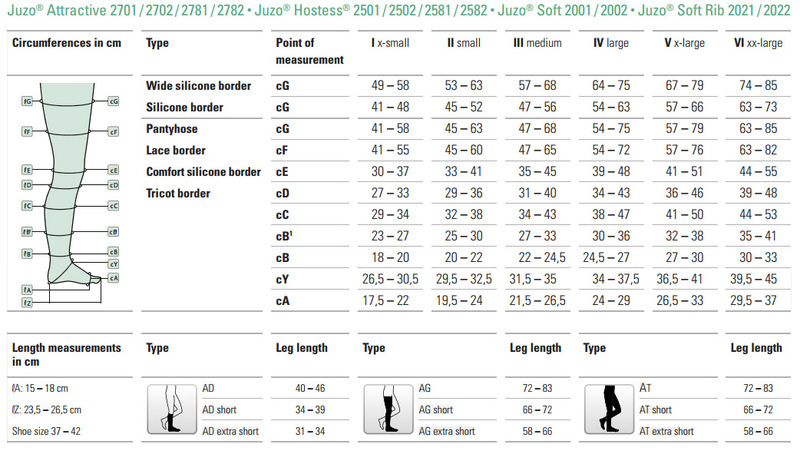 Juzo Attractive Class 2 Sesame Compression Tights are non-returnable and non-refundable on grounds of hygiene.